Eating food high in fish oils such as omega-3 doesnt reduce the risk of heart disease. March 18 (Bloomberg) — Eating food high in fish oils such as omega-3 doesn’t reduce the risk of heart disease, raising questions about national guidelines promoting the fats as beneficial for cardiovascular health, researchers found. The analysis of 72 previous studies showed insufficient support for nutritional recommendations by groups such as the American Heart Association that advocate high consumption of polyunsaturated fats like omega-3 and omega-6, which is found in corn and sunflower oils, as well as some nuts and seeds. The findings released yesterday in the Annals of Internal Medicine are the latest to show that supplements and vitamins don’t work as well as touted to help patients prevent diseases. While past studies showed fish oil can lower unhealthy blood fats, blood pressure and reduce the risk of a second heart attack, research in recent years contradicted those findings, suggesting it has limited heart benefits. “The current guidelines should reflect the most recent evidence that show that their apparent benefit for reducing coronary risk is potentially low,” Rajiv Chowdhury, the lead study author and a cardiovascular epidemiologist in the Department of Public Health and Primary Care at the University of Cambridge in the U.K., said in an e-mail. A study presented at the heart association’s 2012 meeting found that taking fish oil, a form of omega-3 fatty acid, after cardiac surgery didn’t prevent a form of irregular heartbeat that can cause blood clots and strokes. Also that year, a review of 20 trials over 24 years published in the Journal of the American Medical Association found that fish oil supplements didn’t lower the risk for a range of illnesses, including heart attacks, strokes or death. A study in 2010 published in JAMA found fish oil didn’t prevent recurrences of atrial fibrillation. Separate research published yesterday in JAMA Internal Medicine found that daily omega-3 supplements wasn’t associated with a lower risk for heart attack, stroke or cardiovascular death in older patients with age-related macular degeneration, an eye disease. Current heart association guidelines recommend people consume about two servings of fatty fish each week. They also recommend that 5 percent to 10 percent of total daily calories come from omega-6 sources. The guidelines suggest replacing saturated fats, found in meat, full-fat dairy products and coconut and palm oils with polyunsaturated fats. In addition to salmon, omega-3 fatty acids are found in halibut, sardines, trout and tuna. They also added to other foods and packaged products such as eggs, cereal, pasta and margarine. The Dallas-based heart group’s Nutrition Committee is scheduled to meet today and will review the new research. Penny Kris-Etherton, a professor of nutrition at Pennsylvania State University and vice chairwoman of the committee, said earlier studies may have shown the fatty acids benefited patients because people with heart disease weren’t being treated as aggressively with cholesterol-lowering medicines and high blood pressure drugs as they are currently. Kris-Etherton said the current dietary recommendations should still be followed. Researchers in yesterday’s report analyzed 72 studies that looked at more than 600,000 patients from 18 countries. Of those, 40 involved initially healthy people, 10 recruited people with elevated cardiovascular risk factors and 22 recruited people with cardiovascular disease. In 17 studies of more than 75,000 patients, they found no evidence that supplementation with omega-3 fatty acids can reduce heart disease risk, Chowdhury said. 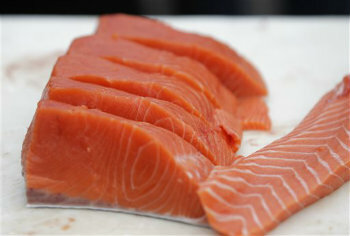 More studies though are needed to see if omega-3 fats work to prevent heart disease in people who are initially healthy. William Harris, a professor of medicine at the Sanford School of Medicine at the University of South Dakota in Vermillion, said a review of yesterday’s analysis suggested that people with higher blood levels of eicosapentaenoic acid, or EPA, and docosahexaenoic acid, or DHA, two major fish-derived omega-3 fatty acids, appeared to have a heart benefit. He said as more people consume fish and other products with omega-3 in it, the harder it is to show a benefit because there is no true placebo group. The analysis supported current guidelines restricting consumption of foods high in trans fats. The study didn’t find evidence that saturated fats pose a heart risk, Chowdhury said.